iPresort is now a USPS Fullservice approved mail service provider. We inkjet address and barcode using the Full Service IMB (US Postal Service Intelligent Mail Barcode), tab, insert, meter, and sort for postal presort discounts. Whether you are mailing presorted postcards, newsletters, brochures, packets of information, fundraising appeals or sales / product literature, we’ll get it in the mail and save you postage. Ensuring that your presorted mailing is processed quickly, efficiently and economically is what our business is all about! iPresort / Total Fulfillment is committed to helping you meet your deadlines and stay within your budget. We offer a wide range of bulk mailing and fulfillment services including database management, National Change of Address processing, literature fulfillment and letter shop services. With more than 18 years of experience as a Dallas mailing service offering exceptional value to hundreds of client companies, our specialty is providing the expertise needed for presorted mailing quantities of 500 to 500,000 pieces. iPresort / Total Fulfillment will be on your side every step of the way! 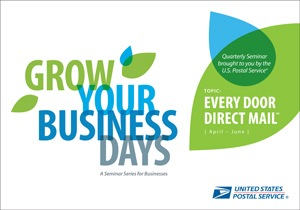 A new program from the United States Postal Service, Every Door Direct Mail is only one of the ways we can help you to grow your business. iPresort / Total Fulfillment will mail merge your mailing list from your database for personalized letters and envelopes. We sight match every letter to its corresponding addressed envelope for a 100-percent match. Our knowledgeable staff will review and analyze your mail pieces prior to printing to determine whether they conform to postal regulations, and offer suggestions if they don’t. We work closely with our customers to make sure they are able to take advantage of available postal discounts. The United States Postal Service is now offering a new program called Every Door Direct Mail, and like any USPS program it has it's own acronym, EDDM. 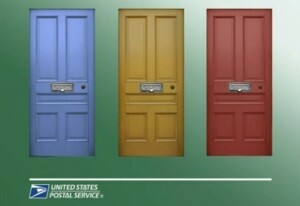 Every Door Direct mail allows you to target geographic locations by mailing to every door on a postal carrier's route. And the best part is you don't even need a mailing list! For more information about EDDM, check out these blog posts, Every Door Direct Mail.